Ward Hall is located at 1782 Frankfort Road (US 460 W) in Georgetown, KY. Click the "Directions" button above for more specific directions. 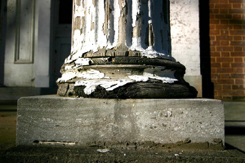 Ward Hall Preservation Foundation, Inc.
We Need Your Donations—Please Contribute to Our Restoration! Please download and complete our donation form and return it with your tax-deductible contribution or make a donation using the Paypal "Donate" button below (Paypal account not required). The Ward Hall Preservation Foundation, Inc. is a 501(c)(3) charitable corporation. Here's one example of why we need your donation now to continue our work of preserving and restoring Ward Hall to its former grandeur! Kroger Community Rewards - To get started, sign up with your Kroger Plus card and select Ward Hall Preservation Foundation, Inc., VL862. Once you're enrolled, Ward Hall will earn rewards each time you shop and use your Plus Card—and you will continue to earn points and discounts, just like before. For more information and to sign-up today, go to www.krogercommunityrewards.com. Central Bank Community Money Market Accounts - This money market account earns you a competitive interest rate, but allows you to designate Ward Hall from a pre-approved list to receive a year-end donation from Central Bank of 0.15% or $25, whichever is greater based on year-to-date average ledger balance in the Money Market Account. Meanwhile, you earn the same great rate. For more information and to sign-up today, go to www.wardhall.net/centralbank.